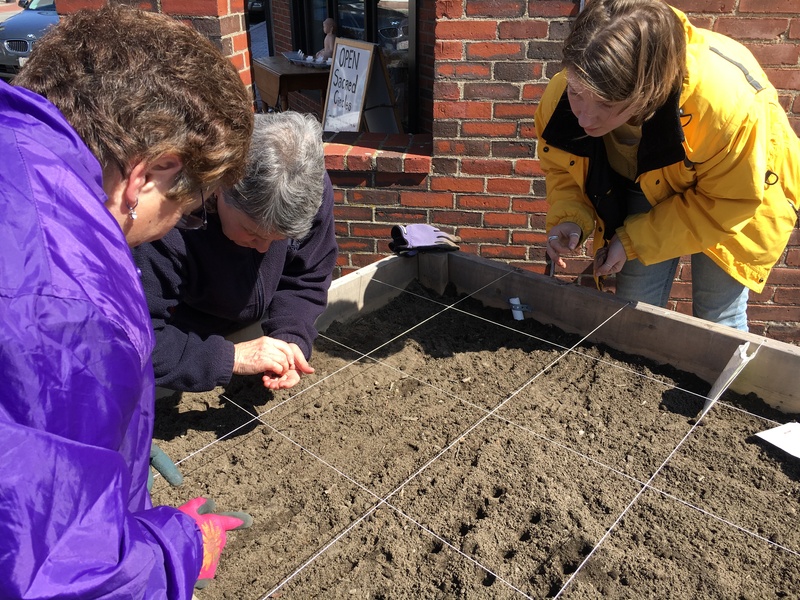 The Rose Baker Senior Center is located around the corner from the Backyard Growers Office and serves older adults from Cape Ann through various classes, exercise opportunities, and meals. Through partnership with the local food pantry, they provide a free salad bar three times a week. This fall when Backyard Growers built a raised bed outside of our office, we weren’t sure exactly how we would utilize it—we wanted it to be an educational space, and we wanted the produce to directly go back to the community. 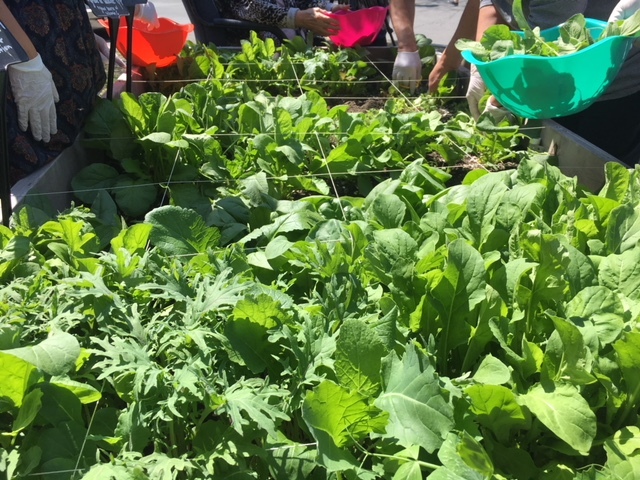 Knowing about the preexisting partnership between community organizations, I thought that it would be an incredible opportunity to support the salad bar at Rose Baker by growing lettuce at our corner garden. 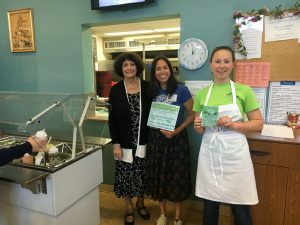 In the winter I connected with the director of the senior center and began developing a partnership between Rose Baker and Backyard Growers. After months of building credibility and enthusiasm among guests at Rose Baker, I began to advertise a salad planting event; and on a cold April day we zipped up our coats and planted snap peas, radishes, carrots, and a variety of greens into the soil. We wished the seeds well and hoped that spring would arrive soon. And then I found myself at the end of May watering a garden that was so tall and full of abundant greens it was hard to remember the disheartening chill of April. On a sunny and blissful Wednesday afternoon, I, alongside several new gardening friends, harvested over 5 pounds of spinach, arugula, baby greens, and radishes from our little corner garden. Guests at Rose Baker were involved in every step of the process; from harvesting, weighing, washing, and enjoying. The salad was a great success and many people commented that it was the most delicious salad they’ve ever had!